Not too often, but occasionally a nonprofit should re-think its brand. Brands are so much more than logos and words. Here’s my best recollection about one such endeavor: the rebranding of Heifer. Heifers for Relief started out sending ships full of dairy cows and other farm animals to the countries devastated by World War II. Soon it was renamed Heifer Project International. For almost two decades, I led Heifer’s marketing and communications. When I started in the nineties Heifer was almost 50 years old. At around $6 million (including the $3 million we later called marketing revenue) total income had been flat for ten years. With inflation it had shrunk by half. In those days on my desk was a “brand” folder where I gathered materials printed by offices around the world. After some time, it contained more than 50 different versions of the Heifer logo! (Full disclosure, a couple were of my doing.) Most had a globe with longitude and latitude lines. They usually had five or six (but not always the same) animals. Peru’s logo had llamas. Some logos added people or trees. The logotype was all over the place, with many fonts, colors, size variations, different words, some used all caps, and some just used HPI. In short, the brand was out of control, confusing and ineffective. It was time to reexamine Heifer Project International’s brand, including the logo, and even the name. Also on my desk was a directory of international humanitarian organizations. Along with the information about the 160 groups was a picture of their logo. One day in a few minutes of “research and analysis” (a.k.a. counting) I discovered that when you eliminated the logos with these four art elements—globes, hands, wheat and vague figures with outstretched arms—only about 10 were left! 150 organizations were using some version of four logos! A good logo will be recognized even though it’s in the background of a photo and blurred. It is simple and singular. It’s unique to your group. Our (many) logos were anything but. And we had an opportunity to stand out from the crowd. We looked for help and found Seattle-based Girvin Design to lead us through a branding program. They had almost no nonprofit experience (they’d just finished the Bellagio in Las Vegas) but something about them seemed right. We wanted the process to be really “participatory.” In eight different sessions, starting in 1999 we gathered input, got reactions to images, concepts, words, values from literally hundreds of volunteers, staff (including leaders from more than 40 countries), board members and others. Each time we met, the Girvin team helped us focus just a bit more. From these sessions they developed a Brand Positioning Statement that emphasized self-reliance for families and sustainability. We also developed the elements of the Brand Personality such as visionary and reliable. Then we developed a short list of Desired Brand Perceptions that included holistic solutions and rich legacy. Now it was time to look at the logo. Creating a logo by committee is like writing by committee, except worse! It turns out that people are passionate about what symbols represent us. Everyone wanted their pet issue represented: besides a variety of animals (goats are best! ), we had to include people because that’s who we help, and a house that represents community, and a tree for the environment. And a sun that represented something that I can’t even remember. After many months, we had a logo with about six elements. It sucked. One day, in a short phone call I asked the Girvin team leader for a full design treatment that cut out everything but the one cow. They sent it, we showed it around, and that became our logo! And the name, did we want to change it altogether? The word Heifer had challenges. Few people know what one is (a young cow that hasn’t yet had a calf). For many it’s an insult—a large, heavy woman. We had named the magazine World Ark, in part, because we couldn’t feature a photo of a woman—a project partner or supporter like Susan Sarandon or Oprah—on the cover and call it Heifer. (And… just in case we later wanted to re-name the organization World Ark). We quickly agreed that HPI was cold and didn’t inspire our desired brand personality. We recognized that we already had a lot of equity in the word Heifer. With millions of impressions out there for many it already meant our effort. So after several sessions, we decided to keep Heifer and to make the word mean us. “International” was kept to give the depth and breadth of the organization. It would be in smaller type to emphasize Heifer. “Project” had no value and even implied that our work was temporary. We dropped it. Informally, we encouraged people to simply use Heifer. Looking back it seems like a lot of work to just drop one superfluous word. But each step was a process we had to go through. Now we had a new logo and a new name. Girvin developed a brand guidebook—a tool kit with rules for colors, fonts, and different uses—and we sent it to Heifer offices around the world. Remember that we had gone to great lengths, two years, to include the country programs in the process? When we put the new branding guidelines out there, we immediately heard that the U.S. program leadership didn’t like it and wouldn’t use it. “It’s too whimsical!” In the country where we had to raise tens of millions of dollars each year, having two brands would be a disaster. And from a few other countries came, “We don’t like it! No one will know who we are.” The African program had branded Heifer as “HPI.” It was on all their printed materials, on the office and vehicle signs and thousands of t-shirts and caps worn by partner farmers. So several countries refused to use the new logo and branding guidelines. After a few months of this, Heifer’s president finally told them that they were free to keep their old looks, but any program that did would no longer receive funds from headquarters. Soon the new brand was universally adopted! And a few naysayers said our donations would dry up, that people were emotionally bound to the old globe logo and the word project. But that first fall we mailed materials to millions of supporters using “Heifer International” along with the new logo, and did great. During the process we also created name consistency for the country programs. That actually went well. There was a nice ring to Heifer Uganda, Heifer China, Heifer Poland. In later battles, we brought the names of other assets into alignment. For example, the “International Learning and Livestock Center” in Arkansas (informally called “the ranch”) became “Heifer Ranch.” As passions come into play, change is hard for many. What should have taken less than a year took two years. With the patience of Job, Girvin stuck with us. They didn’t charge any more for all their extra time and trips and were always positive. Once we switched, it didn’t take long for the old logos and name to disappear, even from our consciousness. We had moved on. And the new logo worked fantastically. If you were to see the “leaping cow” blurred or quickly (for example, it appeared for two seconds in an episode of The Office) you would recognize it. It’s unique. No other nonprofit has anything like it. 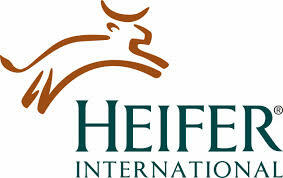 In 1990, Heifer’s aided brand recognition among the U.S. public was less than one percent; by 2010 it was nine percent. Heifer went from unknown to one of the top recognized organizations working to end poverty. These increases are not just because of rebranding; we were mailing millions of gift catalogs every year. We had celebrity support, lots of PR, and thousands of congregations and schools were adopting our programs. But the new brand was part of the reason we were one of the fastest growing nonprofits in the country. Between 1993 and 2010 annual marketing revenue grew from $3 million to $90 million. Was the process was messy? Absolutely! It could have been done differently. But we ended up with a strong brand that helped Heifer make cost-effective impressions to raise funds and public awareness. With a coordinated branding effort, once obscure Heifer was better poised to attract new supporters and deepen the connection with existing ones. Related Posts: Brand Your Cause, Nonprofit Brand as Place, The Power of Words to Change the World.